The adorably toothy Prince George has just turned five, and his famous family released a freaking adorable portrait of the little prince to celebrate his big day. “The Duke and Duchess of Cambridge are very pleased to share a new photograph of Prince George to mark his fifth birthday – thank you everyone for your lovely messages,” a Kensington Palace rep wrote on Instagram, alongside a photo of George grinning for the camera. 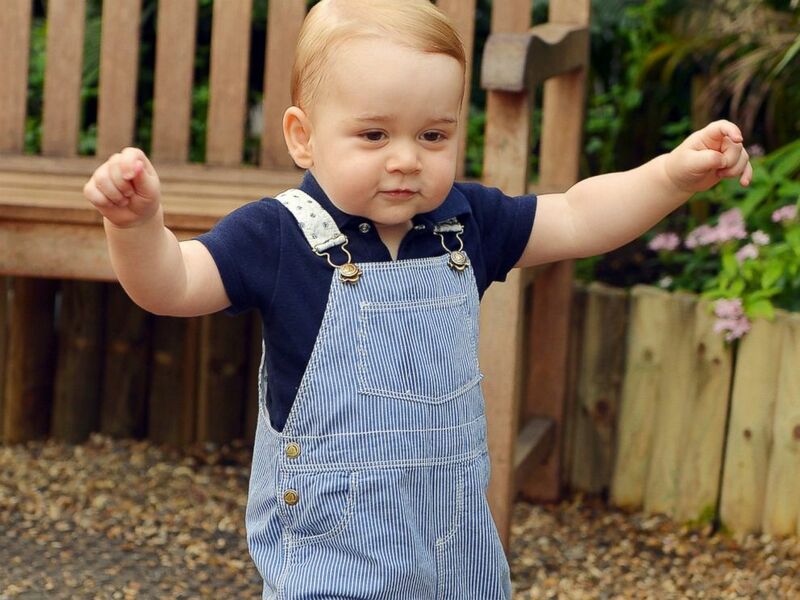 The image, taken by Matt Porteous at Prince Louis’ christening party, shows George at his granddad’s place – Clarence House. He’s wearing the very same outfit we saw him head off to church in on the morning of Louis’ baptism – a sweet Peter Pan collared shirt with blue piping and crisp navy shorts. Eagle-eyed royal fans have noted that, as is often the case with little boys, the look’s not as perfect as his parents intended. 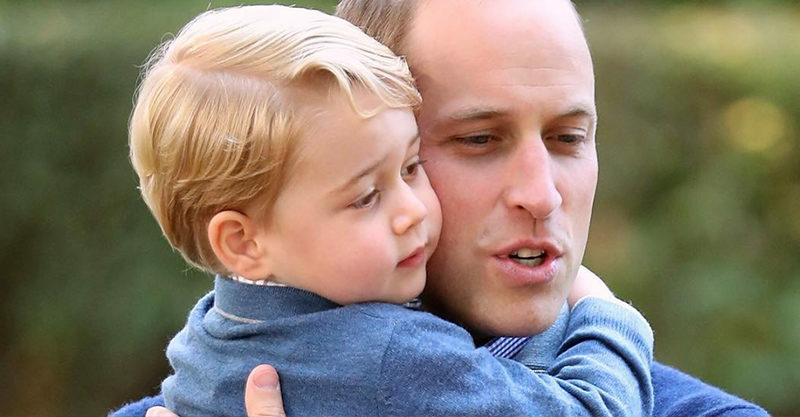 The bottom button of his shirt has gone rogue and come undone and it’s making every other parent feel less alone – and that Prince George is as rough and tumble as their own kids. How did we not know that Princess Charlotte looks EXACTLY like Princess Diana? No belt or shirt pockets for the little heir, it seems. Just a gently puffed sleeve confirming that traditional and old-fashioned is still order of the day for Kate and William’s kiddos. Behind closed doors and away from prying eyes, we’d wager that George and Charlotte are getting around in Disney t-shirts and track pants – and honestly, we’d kill to get a look at the more unguarded normRoyals! 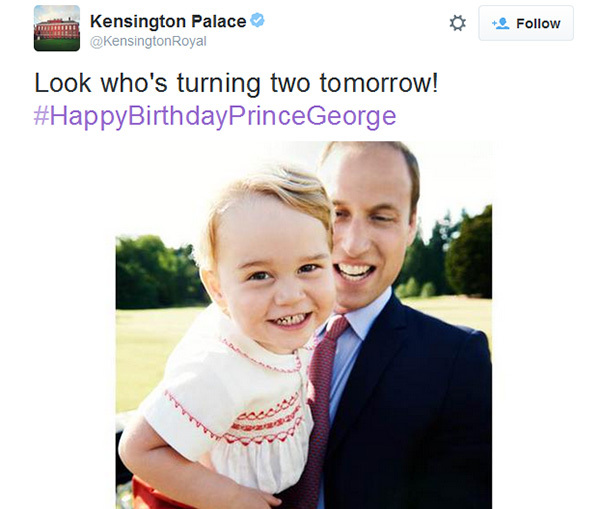 The Royal Family Instagram posted the same shot, with a slightly different caption celebrating George’s special day – and Louis’ special day too: “Happy Birthday to Prince George who turns five today! 🎈 The Duke and Duchess of Cambridge are pleased to share a new photo which was taken in the garden at Clarence House by Matt Porteous, following the christening of Prince Louis on 9 July,” the palace posted.